What is a frozen food? Chris James looks at the question of what defines a frozen food. We are often asked what defines a frozen food. While this may at first appear a simple question, the answer (like so many things to do with food) is not. 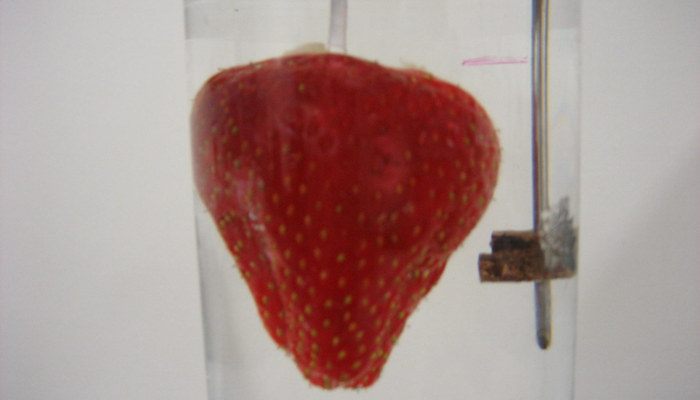 In foods, containing free water, ice can form at any temperature below the initial freezing point of that food. In addition once ice has been formed it will remain present unless, or until, the temperature of the food is raised above the initial freezing point (more properly described in such case as the final melting point). The freezing point of many foods is typically anywhere from -0.5°C to -2°C (though foods with a high sugar or salt contact may have much lower freezing points). Thus many foods can certainly be said to “freeze” at temperatures between -3°C to -10°C (provided ice nucleation has taken place and it is not in a supercooled state). However, personally I would not describe it as “frozen” at this point. A more scientifically accurate description would be “partially frozen”. As explained in the International Institute of refrigeration (IIR) Recommendations for the Processing and Handling of Frozen Foods (Bøgh-Sørensen, 2006), as food products “are progressively cooled below their initial freezing point, more and more water is turned to ice so that residual solutions will become more and more concentrated. The content of ice in frozen foods is a function of temperature and initial concentration of solutes.” These recommendations in its General Definitions section (2.1.2.) state that “a food product is regarded as a frozen food product when the product temperature is -10°C or colder, or when a high proportion of the freezable water in the product is converted into ice (usually more than 80% of water content).” If a food is described as “quick-frozen” then it needs to have been frozen (at an appropriately rapid rate) to and maintained at less than or equal to -18°C (0°F) (Bøgh-Sorensen, 2006). This leaves a temperature region that is a grey area in terms of much National and International legislation, since food is not usually considered fully “frozen” until it is below -10°C to -12°C, and is only considered “chilled” above its freezing point. While some use the terms “super-chilled”, “deep-chilled”, or “ultra-chilled” to describe such food, we prefer the more accurate description of “partially-frozen”. For more information about freezing topics please visit our Freezing page.